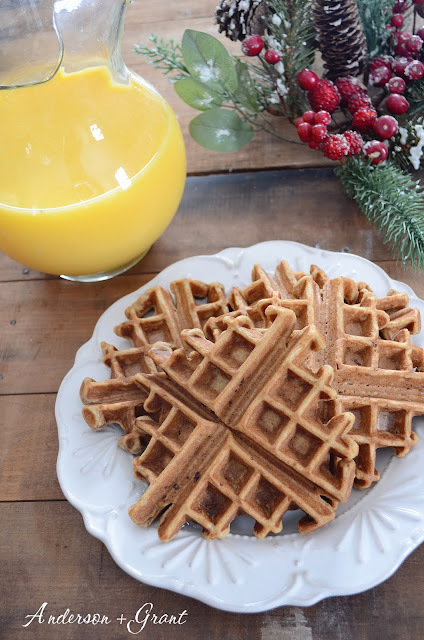 Heat your waffle iron while you are preparing your batter. 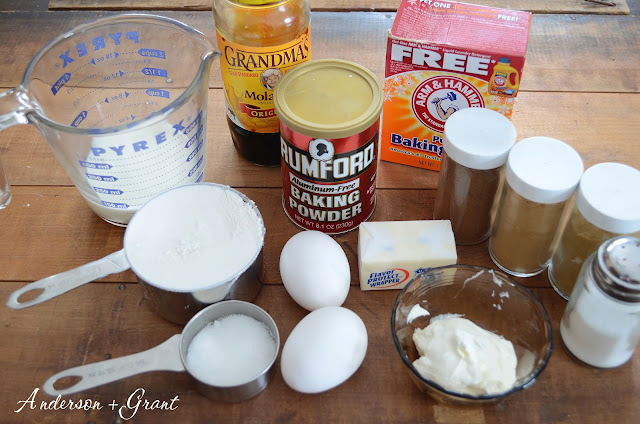 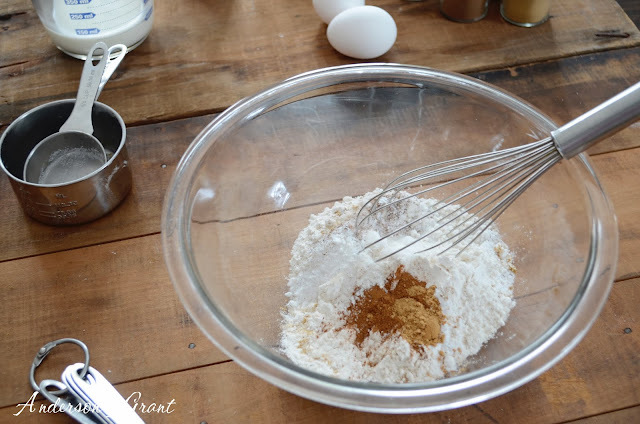 Begin by whisking together the dry ingredients....flour, sugar, baking powder, baking soda, salt, cinnamon, ginger, and cloves. 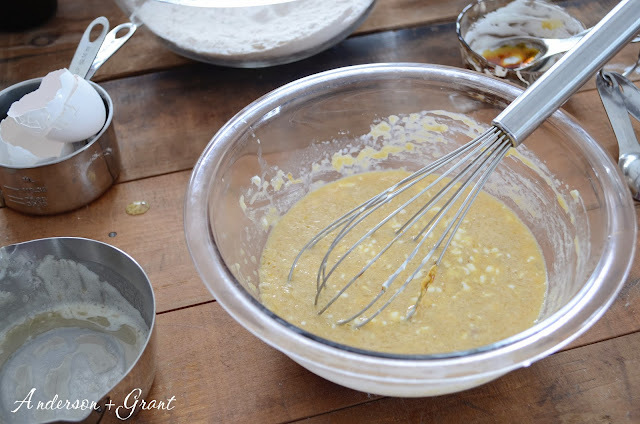 In another bowl, whisk together the eggs, butter, milk and sour cream. 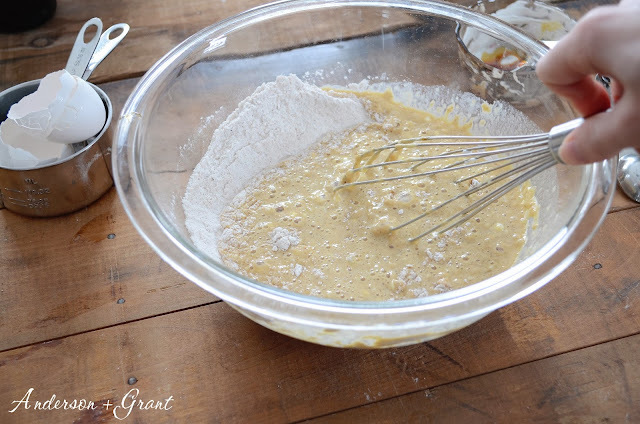 Combine the two bowls of ingredients and stir until the batter is smooth. 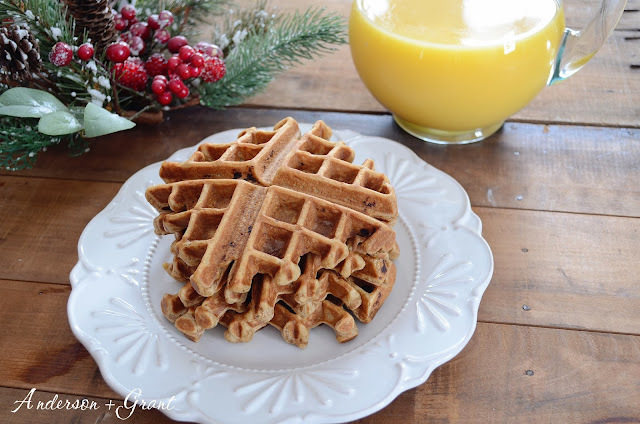 Pour about 1/3 cup of batter onto your warm waffle iron and cook until the waffle is golden brown. 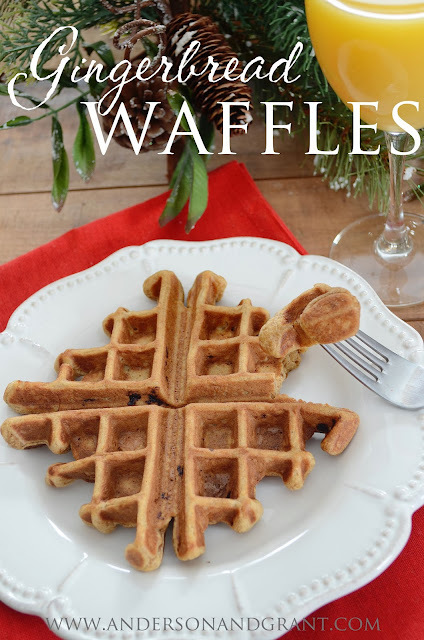 This recipe makes enough batter for four good sized waffles, but it can be doubled or tripled if needed. 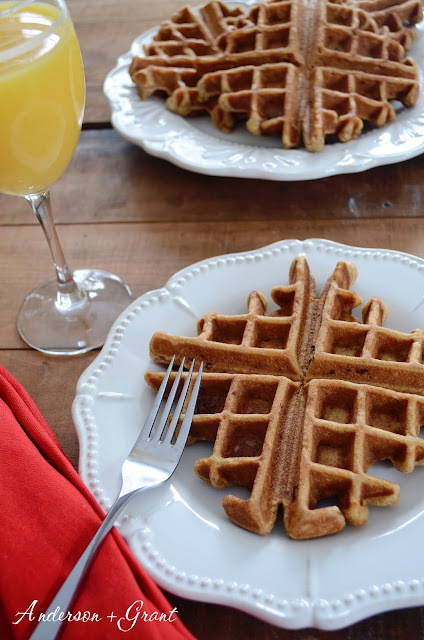 You can top your waffles with a dollop of sour cream, some syrup, berry jam.....Whatever you'd like!